Harry N. Abrams, 9781419718632, 192pp. 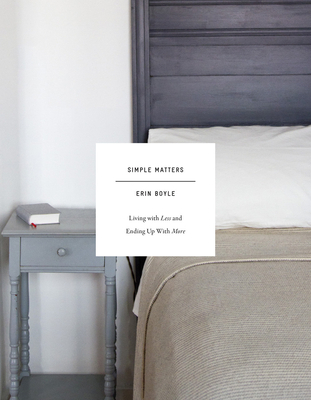 "Erin Boyle speaks to the heart and soul of the minimalist lifestyle. With her deft prose and graceful imagery she details not only how we can approach homekeeping more simply, but why—for our own happiness and peace of mind—we absolutely must. Simple Matters is a must-have manual for serenity in the modern world!"